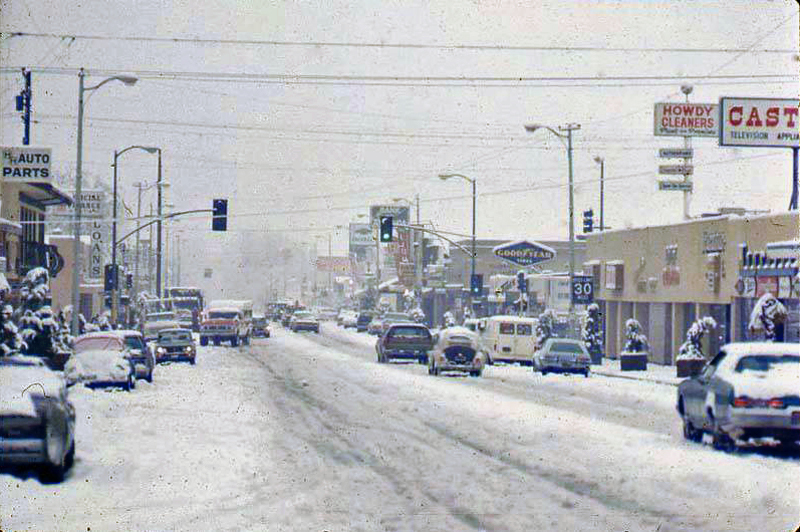 January 4, 1974 — Downtown Newhall in a rare snowfall. The last time it snowed and stuck was December 19, 1970. This is San Fernando Road looking north from about 6th Street. The stoplight is Market Street and San Fernando. In the summer of 2007, this section of San Fernando Road was renamed Main Street. TN7401: 9600 dpi jpeg from smaller jpeg.